1. The owners Gina and Vince Marsaglia are originally from Colorado, but they also happen to be die-hard surfers and beach lovers -- so much so that they choose each Pizza Port location based on its proximity to the beach and the local surf conditions. 2. 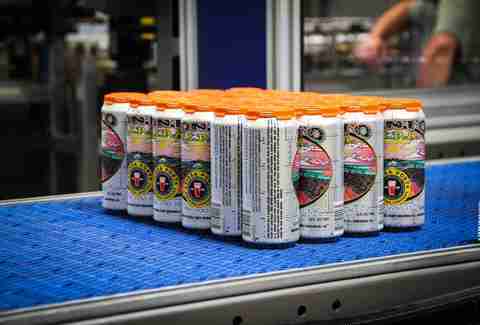 The 37,000sqft Bressi Ranch brewing and canning facility is their only inland location. 3. Every last bit of artwork comes from the same guy. 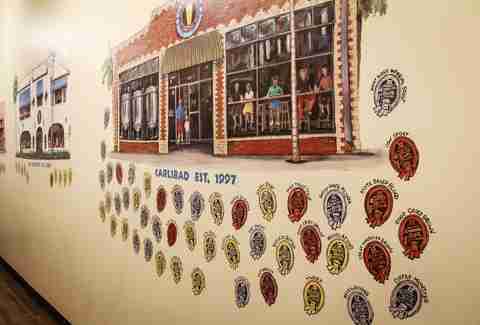 From cans to the logo to t-shirt designs, it's all the handiwork of Carlsbad artist Sean Dominguez. 4. Over the years, they’ve used some interesting ingredients in their brewing processes, but for their most current project, the San Clemente location is working with Sambazon to create a healthy-ish beer using superfoods, which will give you a great excuse to drink more beer. 5. Eukaryst Sinister Stout (11% ABV!) is named after assistant brewer Gino Fontana’s metal band. It's brewed with 15 different specialty malts, 20lbs of cocoa nibs, and a Mexican chocolate bar -- not to mention, the Eukaryst album was playing non-stop during the entire brewing process, so the music is also infused into the beer. 6. 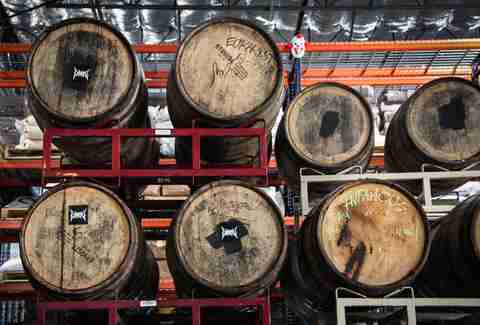 Pizza Port was ahead of the curve when it comes to San Diego's brewing scene. How far ahead? They actually bought the first keg of pale ale from Stone back in 1996. 7. 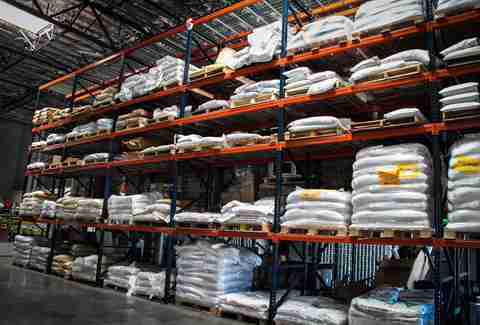 Pizza Port keeps 50 varieties of hops and malts in their warehouse for the brewers to choose from, so they have plenty of options to experiment with when brewing their own small batch beers (which they're all encouraged to do). 8. There is a vacation rental on top of the Ocean Beach location, with all the pizza and beer your could ever want downstairs, in addition to the rooftop ocean view upstairs. This is without a doubt the best spot to vacation in SD. 9. A coulrophobic's worst nightmare is lurking in the Bressi Ranch location. Keep an eye out for the terrifying clown mask keeping watch over the brewhouse. 10. The Pizza Port love reaches far beyond SoCal. They're now distributed in Denmark and Japan. 11. 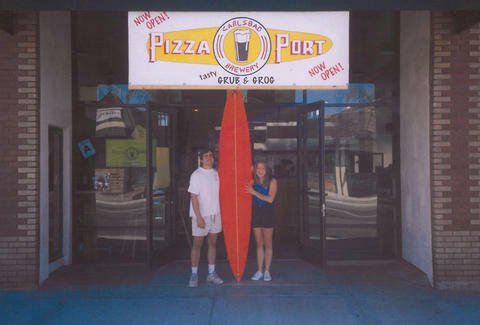 Pizza Port started collecting awards 20 years ago, receiving a bronze medal for their Old Boneyards Barleywine at the Great American Beer Festival in 1994. Since then, they’ve been racking up the accolades with more than 83 GABF medals in total. Their Solana Beach, San Clemente, and OB locations have all won Small Brewpub and Brewer of The Year, and the Carlsbad location won Large Brewpub and Brewer of the Year in 2009, 2010, and 2011. They’ve also won 29 medals at the World Beer Cup, but they don’t like to brag or anything. 12. 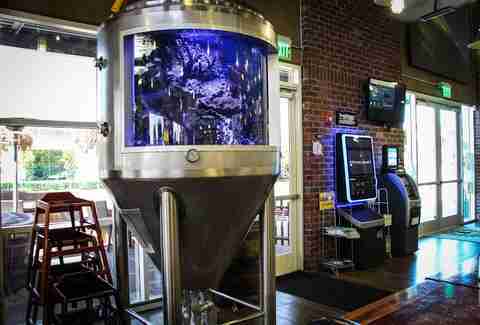 The fermenter-shaped fish tank in the Bressi Ranch location was designed by the guys from Tanked on Animal Planet. It's even rigged up so that they can pour beer through it. 13. Their brewers are multi-talented. 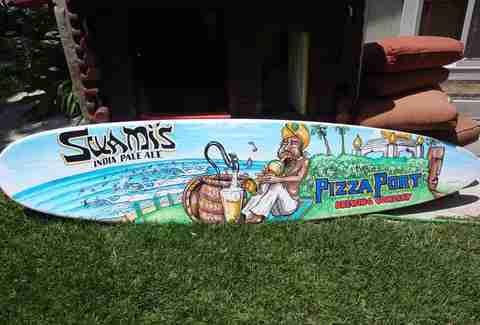 Not only do they brew award-winning beers, but Carlsbad head brewer Mike Aubuchon and Bressi Ranch lead brewer James Holloway also shaped many of the surfboards that are hanging around the Pizza Port locations.